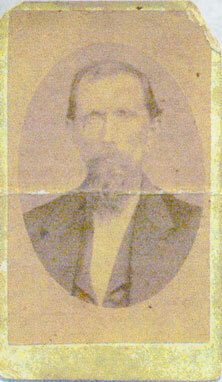 Hamilton S Bates was born about 1846. He was the son of William C Bates, also a member of the First. He Married Ellen (?) in 1869 in Arkansas and raised a family of seven childern. He died 18 January 1939 at the age of 92 in Sebastion Co., AR and is buried in the White Cemetery on the Fort Chaffee Military Reservation.